The Band, a new musical from Take That has been giving its audiences throughout the country a night of nostalgia and good fun they'll never forget since it opened in Manchester last September. Another "jukebox" musical that stars five lads from a TV talent quest, pretending to be the iconic band, Take That. I didn't know what to expect whatsoever, apart from the opportunity for a fantastic soundtrack! It begins in 1992 where we follow five girls and their unbreakable friendship, brought together by a similar love.The 16-year olds Rachel (Faye Christall), Debbie (Rachelle Diedericks), Zoe (Lauren Jacobs), Heather (Katy Clayton) and Claire (Sarah Kate Howarth) have a really lovely bond with one another, bouncing off one another well. Their biggest thing in common is their love for 2their boys". It's a true representation of growing up and growing apart that really tugs on your heartstrings. Heather (Katy Clayton) is a firm favourite with the audience as she fires out quick-fire jokes that sit well within the story and characteristics she has. After finally getting the opportunity to see their idiols perform in Manchester, the girls make a solemn promise to be friends forever. But life isn't that straightforward. The girls all go their separate ways, growing up as well as apart from one another. 25 years on Rachel enters a competition to see the reunion concert of The Band, she emails the girls and they reunite for a weekend in Prague. We watch the 16-year old girls transform into women with different responsibilities and lives that are worlds away from those of when they were 16. The casting of the older women couldn't have been more perfect too. Each of their individual stories and characters works together well and their emotional scenes are executed superbly. It is a true whirlwind story of nostalgia as the girls realise how much they've changed since their school days together. Despite it being 25 years on, their friendship instantly clicks back into its rightful place and they get up to some hilarious stuff throughout their reunion weekend. The Band has so much to admire. Tim Firth has perfectly created a script that is not only poignant but excellently funny too. 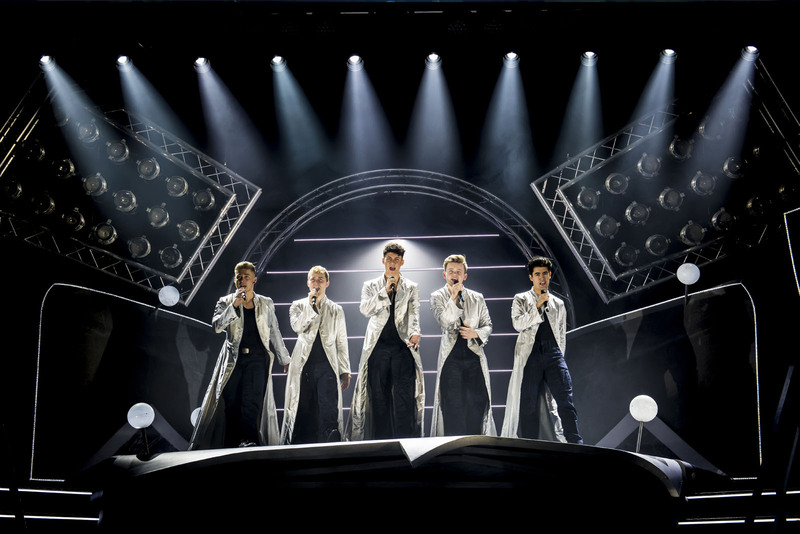 Every single cast member brings something essential to the way the musical plays out; from the clever choreography, imaginative sets, and talented lads who present some of the greatest hits of Take That, including Back For Good, Shine, Rule The World and many more! There's a real great style and energy. It's also the first musical I've seen in a while that doesn't have a swing cast, and it definitely didn't need it! Of course, everyone loved watching the boys from the winners of Let It Shine who really brought the musical to live with their tone, stance, and characteristics. 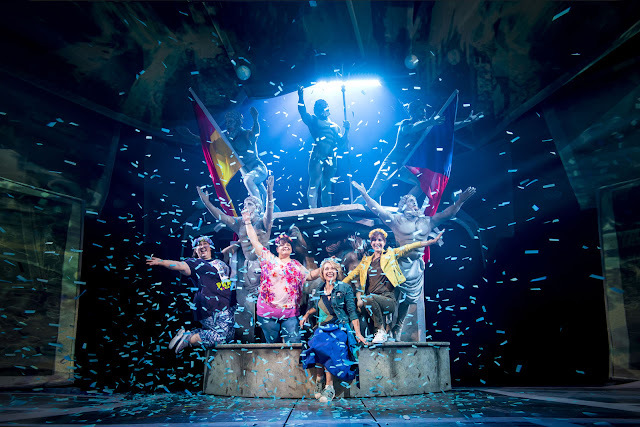 I think this is a juke musical that works incredibly well and I can't wait for audiences to enjoy it as much as I did when it takes on the London's West End for a fix run of performances. The Band Musical made me laugh, cry and sing my absolute heart out. It was a remarkable night at the theatre for me! You can catch The Band at The Theatre Royal, Nottingham until June 23. You can also find out about more of the UK Tour dates and their run in the West End by visiting their website here.